In 2015 every single bag of charcoal sold in Ireland was imported. And virtually every bag of that charcoal was crap, soaked full of chemicals and water to bulk out the weight. 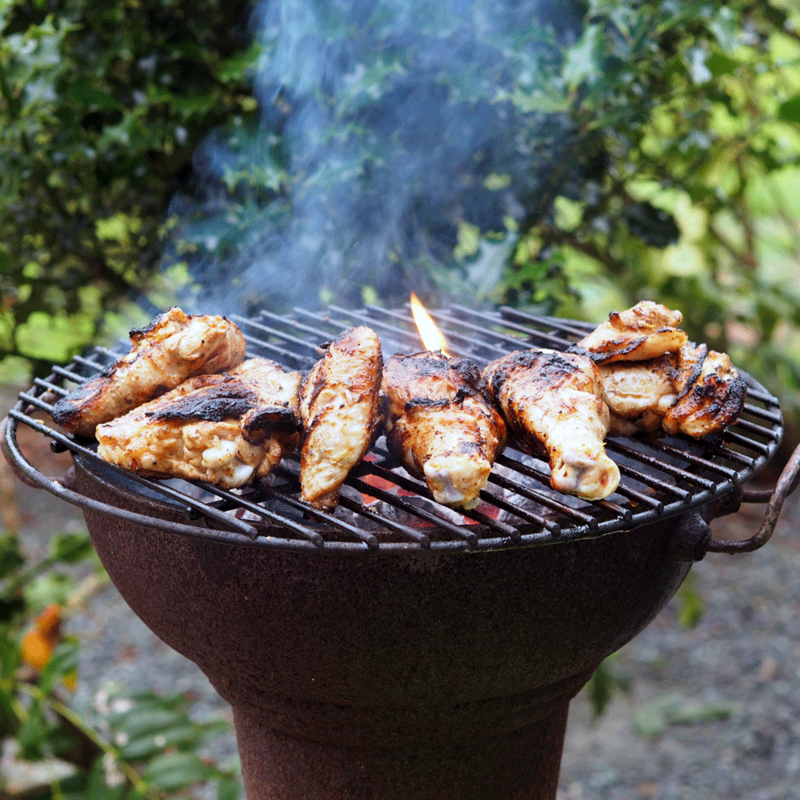 Wonder why your barbecues were a damp squib? That’s right: it wasn’t your fault. It was the dire quality of the fuel you bought at the petrol station that meant you wound up with smoky-smelly sausages and barely-cooked burgers. And then along comes a knight in shining armour to save your barbecue, to deliver perfect outdoor cooking, to make you the object of grateful adoration of your friends and family. Well, three knights, actually, with bags of the Black Stuff under their arms. 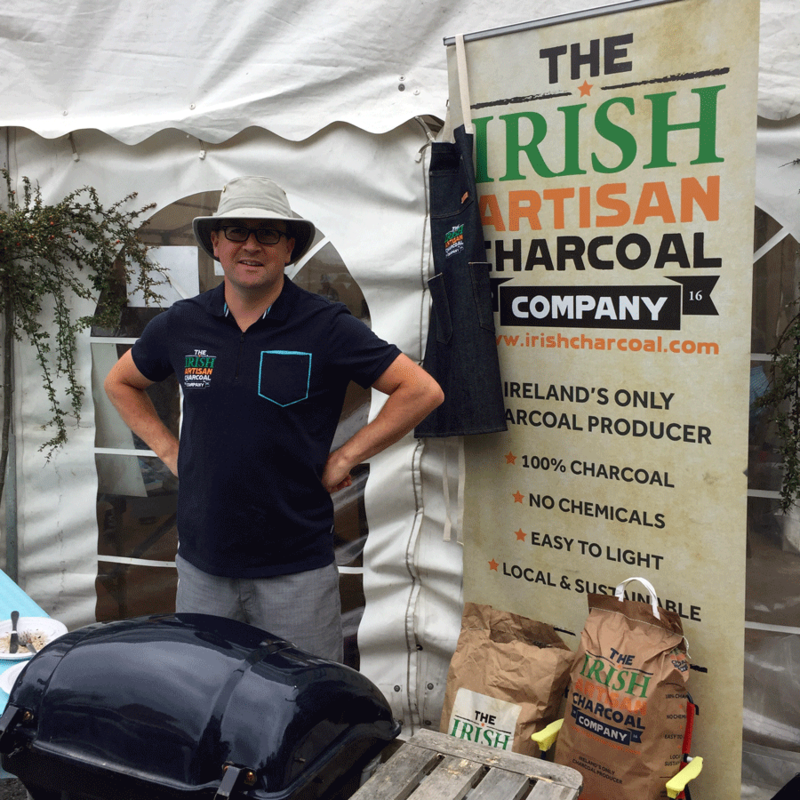 And the knights are actually three stay-home Dads – farmer; engineer; chef – with an idea: wouldn’t it be great to produce Irish, sustainable, environmentally-friendly charcoal? Charcoal that burns bright and clean, and fast? That makes everything cooked with it taste sublime, like? And Colin, Laszlo and James commanded it, and it was done, and it was good. 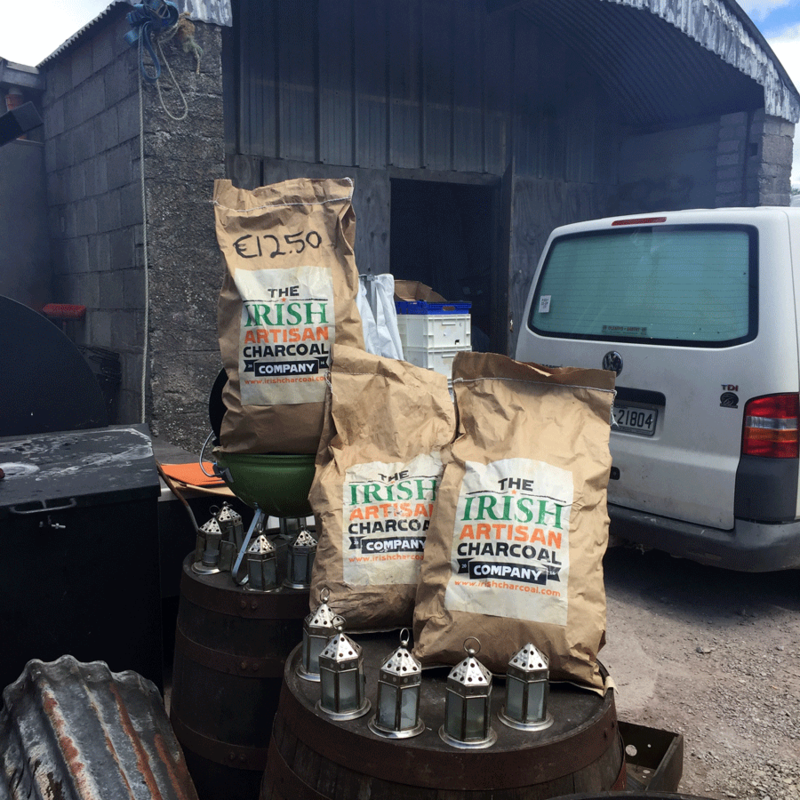 The Trinity of Charcoal did their work, and The Irish Artisan Charcoal Company was born, and they have been conquering the world ever since. Well, the little part of the world that is Ireland, anyhow. TIACC fuel is brilliant. We have been using it on a Green Egg, and everything has cooked beautifully, and we are as gifted at screwing up a barbie as anyone else. The secret, of course, is the fuel, and TIACC charcoal burns fast – very fast, actually – and clean and bright. You need it in your life. No more smoky-smelly sausages.